Limited to 80 watches worldwide, the “Level III” will cost you a pretty penny. Known for opulent creations like its $285,000 USD Pokémon watch, RJ-Romain Jerome returns with a new ultra-luxury watch, limited to only 80 pieces worldwide. 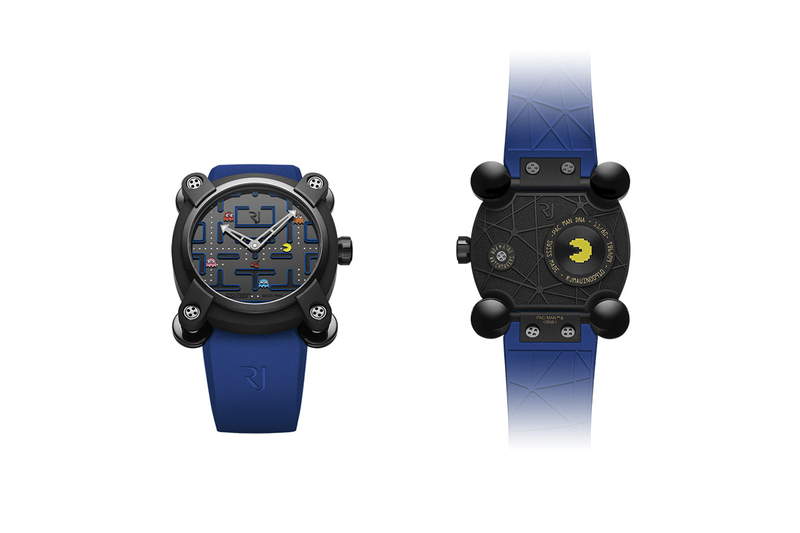 The company’s third collaborative Pac-Man timepiece, the Level III offers handmade detailing, extending to gold-plated hands and a 3D dial complete with lacquered Pac-Man characters. Crafted in Switzerland, the watch features a black PVD titanium case, bolstered by silver accents, and a blue rubber band emblazoned with the Romain Jerome logo. The Level III watch will hit stockists like Exquisite Timepieces’s website in June. The price has yet to be revealed, but if it remains in line with past Romain Jerome x Pac-Man watches, expect retail to weigh in around $13,000 USD. For now, check out a review of an older RJ Level watch below. For a more workmanlike watch, take a look at G-SHOCK‘s pristine “Marin White” summer line-up. Swoosh Makes His Return With "Who Ready"
Alex Wiley Makes His Return With "Very Close"
A progressive product of Finnish design. Preview the upcoming track here. Amazon & Jeff Bezos Under Fire for "Powering a Government Surveillance Infrastructure"
Civil rights organizations protest the tech behemoth’s facial recognition system. Rejecting prior allegations made by artist Lina Iris Viktor. Inspired by a late-night snack.